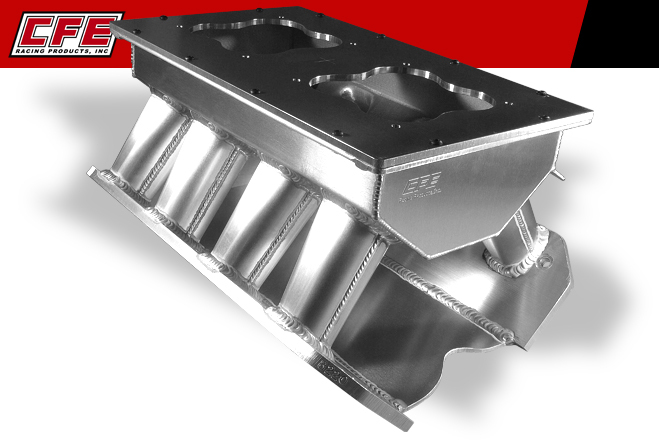 CFE has been producing fabricated intake manifolds for over 30 years. A properly designed fabricated manifold can produce significant gains in engine performance. For more information about how CFE manifolds can help your engine combination make more power, call us today at 586.773.6310.